We, the architects of India’s most progressive planned city, were truly inspired by the kind words of praise, encouragement and hope that these honoured guests offered at the inauguration ceremonies. It is clear that the Government has recognized Pimpri-Chinchwad as the City of the Future, and that the city can depend on the fullest support as it continues to progress. Nevertheless, there are reasons to be cautious in all this optimism. It is true that the careful and futuristic engineering of development at PCMC by the PCNTDA has become a national and even international benchmark for town planning. However, there have been various challenges along this road to progress. We need to take these hurdles into consideration if the Pimpri Chinchwad Municipal Corporation is to fulfill its maximum potential as the City of the future. Considering the pace at which real estate development has been taking place, certain lacunae in adhering to the PCNTDA’s master plan were unavoidable. One of the most glaring examples of this was the emergence of unauthorized structures in various pockets of the PCMC. Thankfully, this issue is being dealt with firmly. The authorities have embarked on a massive drive to deal with such structures, and we are confident that all illegal constructions will be erased from the landscape by the end of 2013. However, we cannot deny that these are damage control measures which would not have been necessary if the damage had never been allowed to occur in the first place. Another area of concern is lack of adequate road connectivity between certain key areas of the PCMC and areas such as Talegaon. Because of the massive potential for industrial and residential development in and around these areas, they have seen most of the road construction initiatives. In the process, road connectivity from these locations to some of the most important growth areas of PCMC has been largely ignored. Paradoxically, the areas referred to as Phase 2 in the PCMC development plan hold the highest potential for real estate growth. Thanks to the availability of large land parcels at relatively lower prices, residential and commercial realty development has picking up rapidly in areas such as Moshi. In the meantime, Moshi has become a hotbed for property investments because of the International Convention Centre being jointly developed by the Maratha Chamber of Commerce and the PCMC. Despite this, there is still no sufficient road connectivity between Phase 2 and the larger industrial hubs. This is going to prove to be a huge stumbling-block for the overall growth of the region. The lack of a suitable road network means that people living in areas like Moshi face difficulties in reaching their workplaces in these employment clusters. This issue must be addressed on a priority basis. A city like PCMC must do everything in its power to ensure that its growth pockets are not isolated from each other. Yet another issue is that the population within the Pimpri Chinchwad Municipal Corporation is growing at an annual rate of 73%. Such a rate of growth makes it necessary to provide more spaces for development. Unfortunately, there have been limitations put on the city’s potential for geographic expansion by Red Zones (non-development areas). It is imperative that more of the region’s outlying villages be included in the urbanization plan. There are enough examples in India of what happens when a city does not expand geographically in tandem with its population growth. Such a situation must not be allowed to develop in the PCMC. Also, PCMC needs to be able to accommodate the rapid growth in population in terms of providing more educational institutions, shopping complexes, healthcare establishments and entertainment zones. Finally, I would like to touch on PCMC’s major thrust towards sustainable real estate development. It is no secret that green development is the future of real estate all over the world. In fact, many of the bigger residential townships and commercial complexes in the PCMC have already adopted the ‘green development’ mantra. The new PCNTDA building itself is a resounding statement to how important sustainable development has become to the city. Nevertheless, there is still a noticeable lack of enthusiasm within the region about the benefits of green homes and workplaces. One of the reasons for this is lack of awareness. 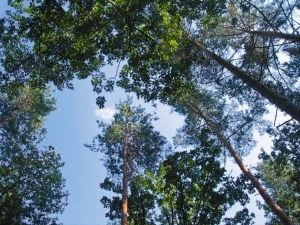 Many of the region’s residential property developers and buyers have not been attuned to the advantages of environmentally sustainable properties. I urge the State Government to join hands with the PCMC to bring about greater awareness and eventual adoption of this vitally important principle. I also strongly advocate better incentives for developers and buyers of green homes in the PCMC. The use of non-conventional energy sources and sustainable waste water management does not only have a positive impact on the environment and on the overall quality of life. Such measures reduce the strain on municipal resources, resulting in significant revenue savings. Unless the benefits of these savings are passed back on to the developers and buyers of sustainable properties, we cannot expect a more wide-spread adoption of the ‘green’ mantra in PCMC. We gratefully acknowledge the importance that the visiting dignitaries have given to the City of the Future by gracing it with their presence. At the same time, we sincerely request them to take heed of PCMC’s most urgent requirements. 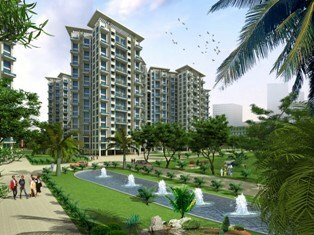 Affordably Priced, Will Cater to Management Cadre Homebuyers. Pune, June 27, 2012: Pharande Spaces, the leading construction and development firm specializing in township properties in the PCMC area of Pune, is launching its premium residential project L-axis on the PCMC Spine Road, in Sector 6 of Pradhikaran. The launch date is June 28, 2012. 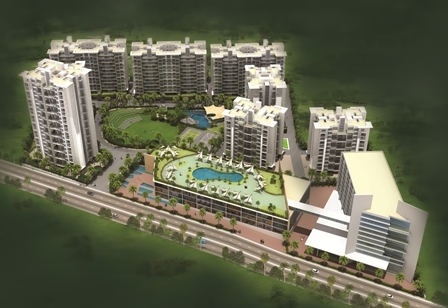 The project is spread over 11 acres of verdant green land and will feature 2, 2.5 and 3 BHK apartments. Spine Road, which is where this ahead-of-its time luxury housing project is located, has become one of the most talked about infrastructure embellishments in the progressive Pimpri Chinchwad Municipal Corporation. This area is fundamentally at the core of Pune’s most vibrant industrial area, with many manufacturing giants such as Tata Motors, Force Motors and Bajaj Auto close by. It is also well-connected to the Chakan industrial area, which is home to national and international automobile companies like Volkswagen, Mercedes Benz and Mahindra & Mahindra. Apart from this, the Talawade IT Park is also within easy access. In addition, L-axis is advantageously placed close to the Bhosari District Centre, Sadhu Vaswani International School, Sri Sri Ravishankar Vidya Mandir, the PCNTDA Traffic Park and the upcoming International Exhibition and Convention Centre at Moshi. The project will feature technologically advanced security and lifestyle features to its residents and boasts of vast green spaces, with paved area kept at a minimum. L-axis also includes a modern clubhouse with gymnasium, tennis and basketball courts, a multi-purpose community hall and a massive water-world-style swimming pool that offers limitless enjoyment to all family members. In fact, L-axis represents a first-of-its kind residential option for discerning homebuyers in the PCMC area for whom ease, luxury and convenience are the primary watchwords. No effort has been spared to make this a landmark development which will become its own distinctive address. The launch price for apartments at L-axis is currently Rs. 4500 per square foot, and will be augmented to Rs. 5000 per square foot thereafter. Pharande explains that PCMC’s Spine Road is the perfect location for this project, providing a residential catchment that is a focal point of the region’s most prestigious industries. The 10-kilometer road connects two major highways and also runs through Pimpri Chinchwad’s industrial, residential and commercial areas on the eastern side. Historically, industrial convention centres have consistently proved to be giant economic drivers to local economies. There are significant economic benefits to the immediate and expanded communities in and around these centres. Delegates and exhibitors who vist these convention centres from out of town and other countries bring in huge amounts of revenue. This flow of external capital into the location gives rise to a multiplier effect, because the revenue which is generated then proceeds to circulate through various other businesses in that area. An entirely new and vibrant supplier chain is established for the maintenance of hotels and facilities management companies that service these centres. The revenue flow percolates down to the employees of these establishments, and down to local groceries and similar community-centric businesses. In other words, convention centres upgrade the entire demographic profile of the locations in which they are built. The Pune International Exhibition and Convention Centre (PIECC) at Moshi in the Pimpri Chinchwad Municipal Corporation will number among Asia’s biggest industrial convention centres. It will covering a total of 240 acres and is being developed by the Pimpri-Chinchwad New Town Development Authority (PCNTDA) through a special purpose vehicle (SPV). 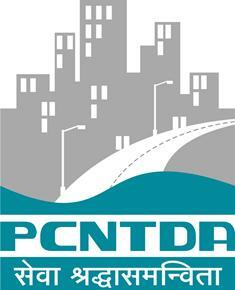 The PCNTDA has a 94% stake in this project. The PCNTDA has an immaculate track record for timely and well-planned development in the Pimpri chinchwad Municipal Corporation. Despite,certain initial delays, the fact that the PCNTDA is a majority stakeholder in the PIECC guarantees that this project will see completion. This convention centre is going to be a game-changer not only for the industrial belt in PCMC but for Pune in general. The automobile industry in Pune will benefit most significantly from the availability of an international convention centre. This industry has been growing in leaps and bounds, with every national and international automobile giant now having a manufacturing plants in and around Pune. Obviously, the venue for the Pune International Exhibition and Convention Centre was chosen for its strategic location near these automotive giants. Once this convention centre is complete, Moshi in PCMC will become the natural hub for automobile conventions. This centre will have the capability of hosting conventions on an international scale, with a total of seven massive exhibition halls and a central open exhibition ground. It will have a staggering seating capacity of 20,000. In order to provide a complete global experience to the delegates, the convention centre will also have a five-star hotel, a golf course and a retail mall adjoining it. A significant part of the land adjacent to the Pune International Exhibition and Convention Centre will be offered to private developers to build commercial and residential projects in Moshi. It can well be imagined what an effect such an advantageous location will have on the residential property prices in Moshi, PCMC. Obviously, the convention centre will generate massive white-collar employment, and the demand for quality housing around it will rise astronomically. This makes the area around the Pune International Exhibition and Convention Centre one of the most important property investment hot-spots ever to have surfaced in Maharashtra. The effect that it will have on property prices will be more pronounced than even that of the Hinjewadi IT park. Township projects such as Woodsville, which is located exactly opposite to the convention centre site, obviously have an early-mover advantage. In the years to come, the investment value of a home in such strategically located township projects in Moshi will rise astronomically. Pune property market is a lot more conservative than Mumbai, and there is certainly a market-dictated cut-off point for price escalations, says Anil Pharande, Vice-President of CREDAI Pune Metro and Chairman of Pharande Spaces, a leading construction and development firm that concentrates on township properties in the Pimpri Chinchwad Municipal Corporation (PCMC) area of Pune. From technocrat to leading builder…. How did this transformation happen? I was very interested in what was happening in Pimpri-Chinchwad back then. The idea of being involved in the raising of a planned city on the lines of Chandigarh, so close to Pune, was an exciting prospect. The Pimpri Chinchwad New Town Development Authority (PCNTDA) had taken on an ambitious and laudable task. My first objective was to help steer the path of this planned development, which is why I got involved with CREDAI. Getting into the creation of township properties that would take the best advantage of the benefits that the PCMC offered in terms of superior infrastructure and phased real estate growth was the next logical step. Can you give us an overview of Pune’s reality market and its growth prospects? 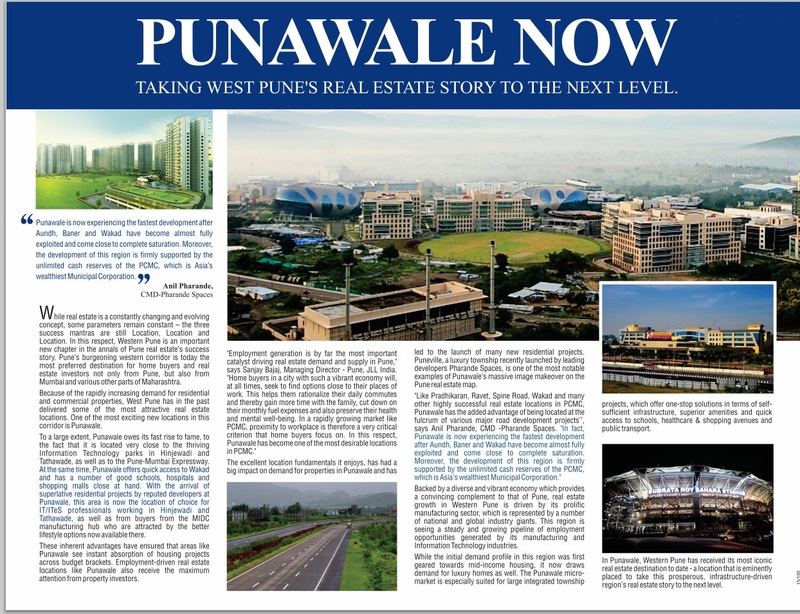 Pune is a powerhouse of potential when it comes to real estate. It is a city of learning and entrepreneurship, and there is a distinctly progressive flavour to everything that happens there. Thanks to the fact that it has become a magnet for IT/ITES and manufacturing companies, the real estate market in Pune is not likely to lose its forward momentum. Having said that, I always had misgivings about the opportunistic manner in which property development was taking place within the PMC limits, and was far more interested in the holistic approach being adopted in Pimpri-Chinchwad. What is the impact of the price upheavals of metropolis Mumbai on Pune’s realty market? There is doubtlessly an impact, since a lot of cash-rich buyers from Pune are looking at Pune both as a property investment and retirement home option. The level of demand from Mumbai tends to exert a certain upward pressure on property prices in Pune. However, the Pune property market is still a lot more conservative than that of Mumbai, and there is certainly a market-dictated cut-off point for price escalations. Do you think that the dismissal of a few big builders from CREDAI over non-compliance will affect the body’s advocacy on transparency? Not at all. Every administrative body must experience occasional churn in order to maintain its vision and to stay flexible and open to new avenues of progress. About your ongoing and upcoming residential projects…and future expansion plan? Woodsville in Moshi is virtually a small town within PCMC, spread over 40 acres with vast tracts of open spaces and a very healthy environment. This hugely successful project, which is being developed phase-wise, has been and continues to be a primary focus for us. I’m also very excited about (L)-Axis, which we are launching along the PCNTDA Spine Road. In contrast to our other projects, which cater mainly to the middle-income group, this is a luxury apartments in pune which will have no rivals in Pimpri-Chinchwad. Apart from (L)-Axis, Pharande Spaces is planning a residential/IT-ITES SEZ project at Punawale, near Hinjewadi/Wakad, Dehu Road-Katraj Expressway bypass. It will encompass 42 acres in the residential segment and 28 acres for the IT Park. The residential part will have apartments, row houses and bungalows. What is your take on green building concept? Why is it not popular in India compared to West? There is a lot of change-resistance and no end of misconceptions about green buildings in India. It is taking a long time for developers and buyers to understand the sound rationale behind them. However, I am seeing a definite awakening now, and I am confident that the next ten years will usher in a slow but steady green revolution in Indian real estate. There is a general belief that affordable housing by private players is a non-starter in India, do you agree? I completely disagree. A huge amount of affordable housing stock in our cities is created by small private developers who cannot imitate the scale of the larger players. Countless people would still be waiting in vain for the many Government-driven budget housing schemes that are yet to see the light of day if it were not for these private players. Many national players have also made their mark in this segment and consistently delivered. With the formation of a well-planned satellite town adjoining an overcrowded city like Pune, the most obvious benefit is a possibility to de-congest the parent city. However, a more interesting fact is that real estate corridors such as the Pimpri Chinchwad Municipal Corporation actually have higher real estate appreciation potential than the central city. This is because they are growth areas where demand rises steadily and quality supply is still possible. In such growth corridors, the greatest advantage to the property investor is the fact that the entry cost is relatively lower than in more centralized locations, even while the potential growth in real estate prices is much higher. Self-use buyers do factor in the property investment potential of satellite towns such as PCMC. However, what attracts them the most is its superior infrastructure, planned development and higher degree of natural ambience. There are various cities in India with upcoming or established satellite towns. Mumbai has Navi Mumbai as well as Kalyan/Dombivili and Vasai/Virar, while Delhi has Ghaziabad, Faridabad, Guragon and Greater Noida. In Bangalore, Yelahanka and Devanhalli are showing considerable promise, while Sriperumbadur and Siruseri in Chennai have proposed as satellite towns. Kolkata has an established satellite town in Rajarhat, apart from Kalyani and Batanagar. However, the growth that each of these areas experiences or will experience depends entirely on the quality of infrastructure and the level of urban planning being implemented there. This is why investment in Pradhikaran properties and real estate in the other boom areas of PCMC is such a winning proposition. The Pimpri Chinchwad Municipal Corporation and similar modern satellite towns have superior real estate appreciation potential for a variety of reasons. Just like everywhere else, Pune property rates respond primarily to the common denominator of demand and supply. Residential real estate demand is created when an area has the right mix of employment opportunities, good infrastructure and the potential for an ambient, stress-free lifestyle. An additional prerequisite for demand is connectivity to the central city, without which residents in the satellite town would be, for most purposes, cut off from familiar areas and resources in the main city. The Pimpri Chinchwad Municipal Corporation is a showcase example of how a satellite town can surpass the parent city in terms of property investment potential as well as residential lifestyle quotient. Little wonder, then, that properties in Pimpri Chinchwad are in ever-increasing demand by Pune property buyers. After all, PCMC remains a meticulously masterminded property investment destination that generates its own economic growth and social infrastructure. In PCMC, the commercial, retail and residential property markets work symbiotically to create a winning proposition for both real estate investors and end users from Pune and beyond. The Pimpri Chinchwad New Township Development Authority (PCNTDA), which has completed 25 years of active service to the region, has been a major catalyst in the planned development Pimpri Chinchwad Municipal Coropration (PCMC). Under its auspices, the residential property sector in the PCMC has been transformed from what was once an industrial zone into one of the hottest property investment destinations in Pune – and indeed in the country. Over the last three decades, several thousand acres of land have been acquired, developed, zoned and brought under the jurisdiction of the Pimpri Chinchwad Municipal Corporation and PCNTDA. This land was developed and available for residential and commercial real estate utilization. As a result, there has been a monumental shift in PCMC real estate. Thanks to the PCNTDA, the Pimpri Chinchwad real estate sector has thrived and grown in an astounding manner. The Pimpri Chinchwad New Township Development Authority is staffed by extremely capable and committed IAS officers. Under its directions, the PCMC area has become a masterpiece of urban development. 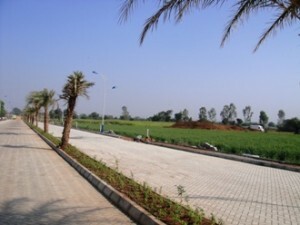 Today, it boasts of impeccable infrastructure and public amenities, including multi–lanes roads, strategically located fly-overs, public parks and urban forestation, residential property zones including MIG and LIG Housing on a public private partnership basis, ample potable water supply and a comprehensive drainage network. Under the PCNTDA, other service sectors have also grown rapidly, particularly schools and colleges. There are now over 25 colleges in Pimpri Chinchwad, offering graduate and post-graduate education in virtually every discipline – healthcare, retail, entertainment, banking and financial services and public transport. These developments have attracted some of the world’s largest companies from the automobile, IT and engineering sectors. 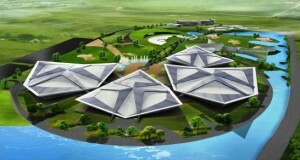 It will also become the home of one of India’s largest International Convention Centers (on a 200-acre plot at Moshi, just off the Pune-Nashik Highway). Admeasuring 100,000 square feet, this hall will equal (if not rival) similar exhibition hubs in Munich, Shanghai and other major metros around the world. The breath-taking residential property areas that now dot the Pimpri Chinchwad Municipal Corporation map are not an accident – they are the result of carefully planned social, economic and real estate growth by the PCNTDA. This vigilance and futuristic thinking has created an avant-garde city which has adopted a blueprint for smart growth – a blueprint that placed utmost importance to organized urban planning. Today, thanks to the PCNTDA, Pimpri Chinchwad Municipal Corporation is an acknowledged masterpiece of community-oriented real estate development. It has a unique blend of sustainable residential spaces, highly advanced transportation networks, a broad spectrum of employment opportunities, modern housing typologies such as township properties and superior supportive infrastructure. At every stage of planning, this city’s inherent natural, cultural, sociological and economic resources have been carefully preserved.